The drawing above represents the moment on the day called Pentacost, when there was a sound like a mighty wind, and there was a little piece of fire on each of the apostles. 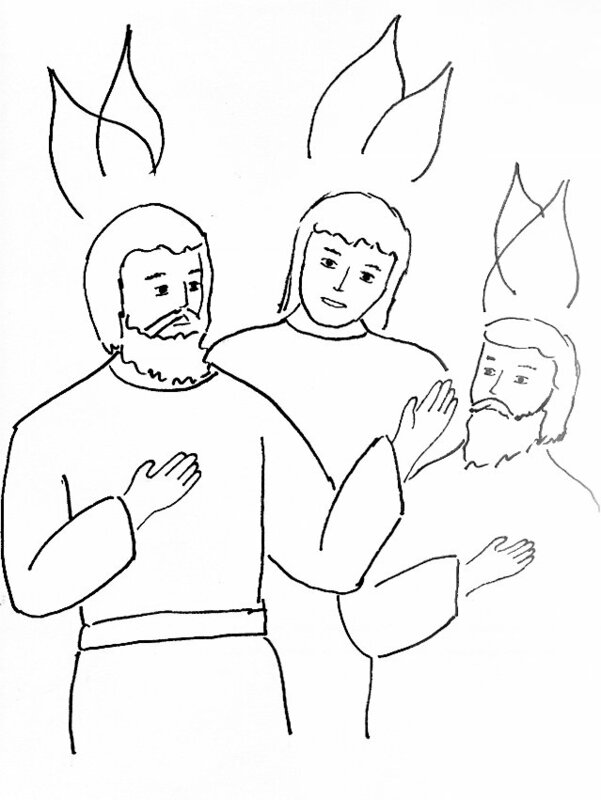 This entry was posted in Acts, Bible Story Coloring Pages and tagged bible stories, bible story coloring page Holy Spirit Comes Pentecost, bible story coloring pages, Christianity, little piece of fire on apostles, mighty wind. Bookmark the permalink.